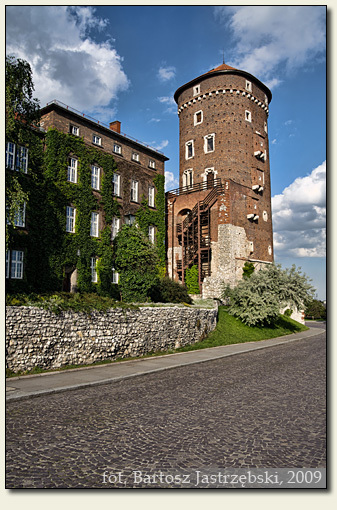 Subjective rating: The castle is undoubtedly one of the most important and the best preserved monuments of Poland. However, due to the mass of tourists visiting it, it loses the climate, therefore it was rated at 4 stars. No one should have any problems with finding Cracow. After entering the town you need to head for the center. There are the signposts to the castle and the the Old Town Market Square, however they might be overlooked. Therefore, a reliable way of finding the castle is driving through the whole town down the main road (no. 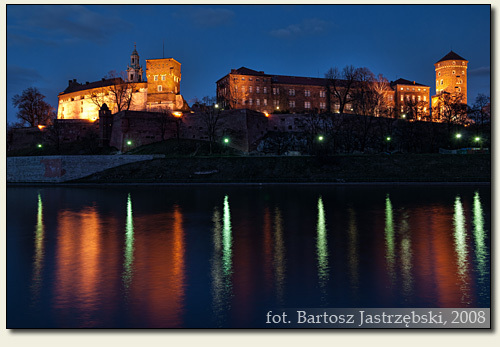 4 or 7 depending on where you have arrived from) and reaching the Vistula. 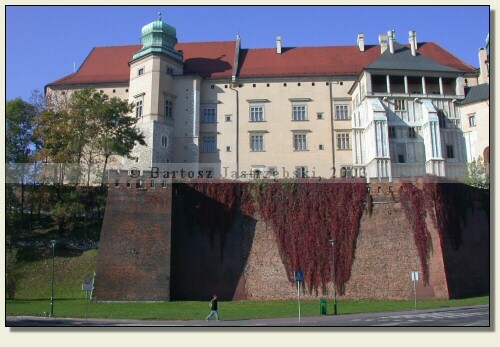 When you see the Wawel and begin to follow its direction, you need to pay close attention to traffic signs, as the streets in the center are often one-way and to reach the place visible 100 m in front of the car hood, many a time you have to cover a few kilometers around the Planty. 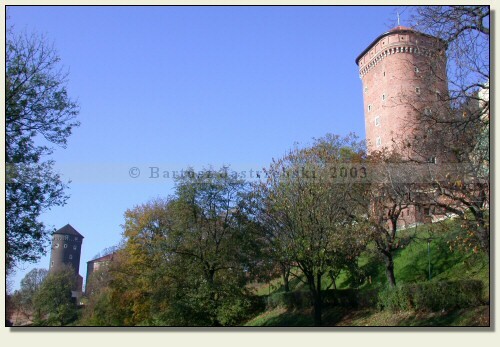 The first attempts to fortify the Wawel Hill took already place in the Xth cent., when the Czech ruled the Lesser Poland. However, already before there could have been found the defensive settlements of the Vistulans. 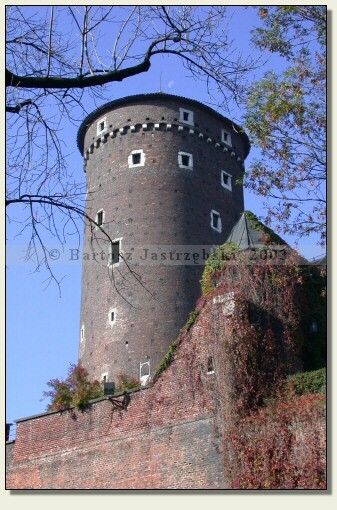 Certainly the first brick building was the keep (i.e. 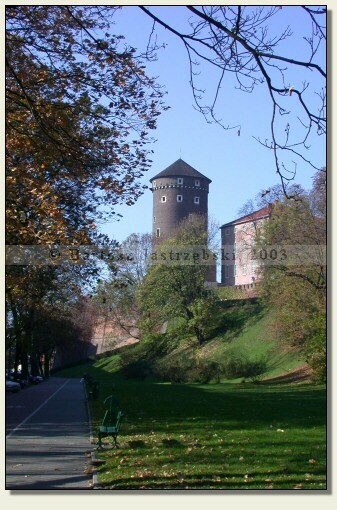 a defensive tower) from the first half of the XIIth cent., Then the construction of a Gothic castle was begun, whose founder was Boleslaw V the Chaste or Leszek II the Black. Since then until the XIXth cent. 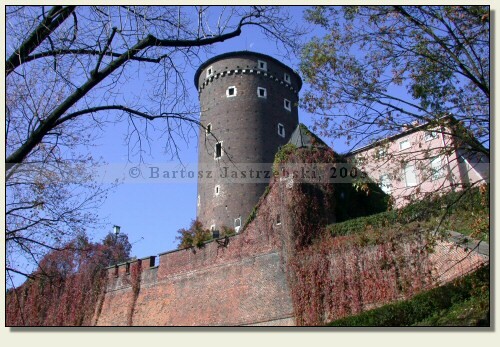 the castle was constantly extended and converted to meet defensive and esthetic requirements of the next centuries. 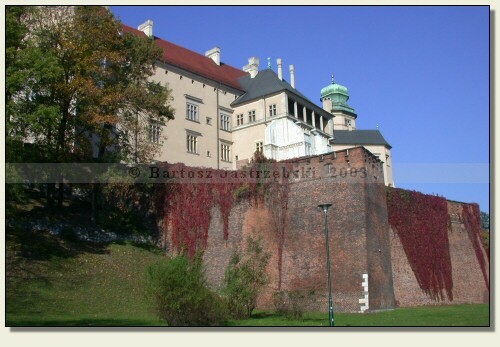 Through a few hundred years Cracow was the Polish capital, and the Wawel - the residence of the kings. 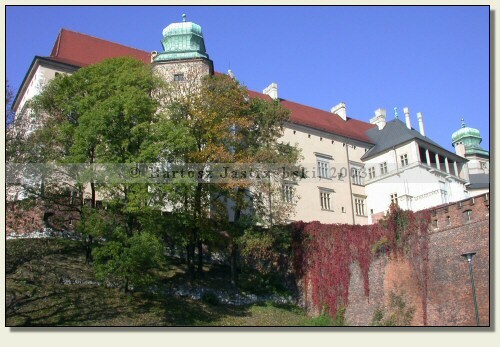 In 1595 the castle was consumed by the fire caused by starting a fire during an alchemic experiment with the king Sigismund III Vasa being involved. This event and the fact that Cracow lies on the outskirts of Poland influenced the decision of the king - in 1609 he transferred the capital of Poland to Warsaw. 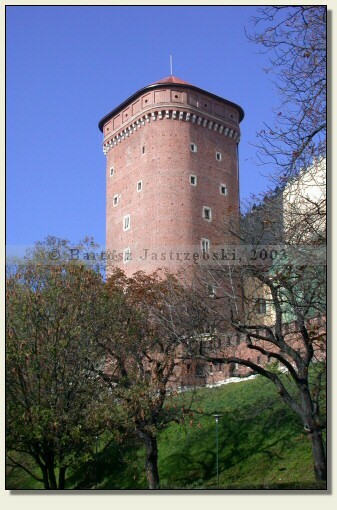 The Wawel Cathedral, however, still remained the place of crowning the kings. 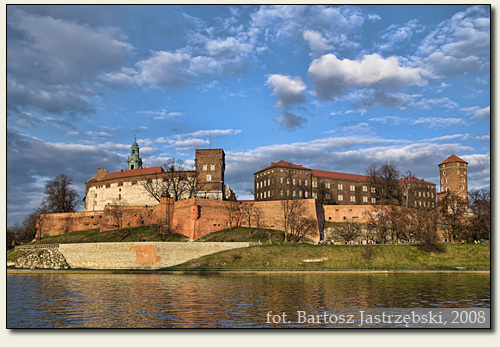 During the turmoils of wars, when Cracow fell into the hands of foreign armies, the Wawel was always becoming their residence. So it was in case of the Swedes, the Austrians and the Germans. 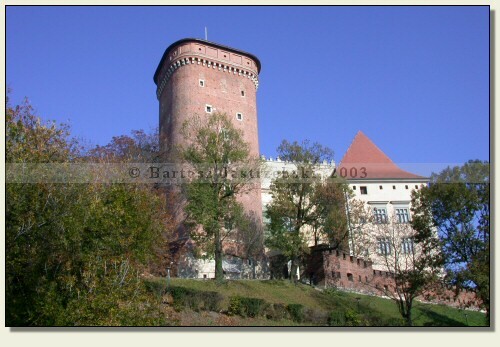 Fortunately, the castle has never been destroyed thanks to which You can still saunter among the buildings, which witnessed the Piasts and the Jagiellonians.